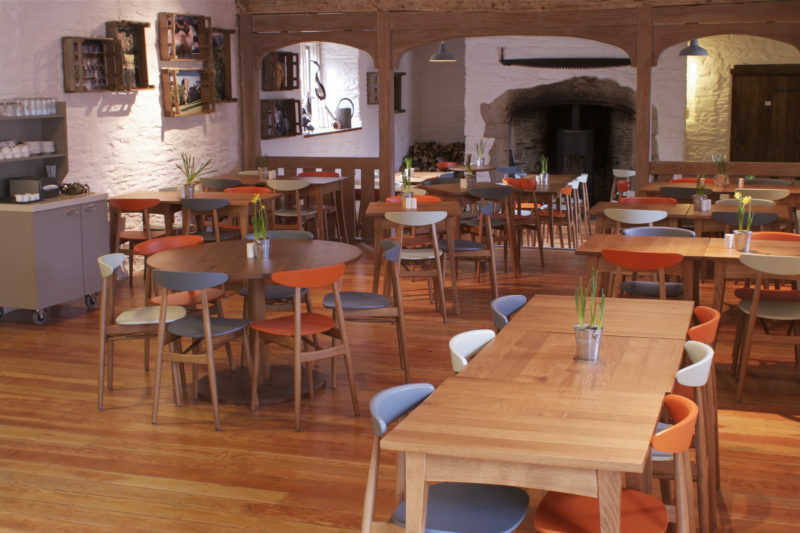 We recently overhauled this fabulously situated restaurant near Yelverton in Devon. The National Trust team wanted a fresh and modern new space with more colour. We took inspiration from the building's stonework and chose orange, duck egg blue and slate grey for the new chairs. The solid wood floor was sanded back and given a new lease of life and photos of the estate, kindly donated by volunteers were framed in old apple crates to liven up the walls. Visitors to the Abbey had also created some stunning felts which now hang in the family room of the restaurant, adding wonderful splashes of colour as well as telling a bit about the Abbeys history. Buckland now offers visitors a warm and friendly environment to enjoy lunch, dinner or simply a delicious afternoon tea.